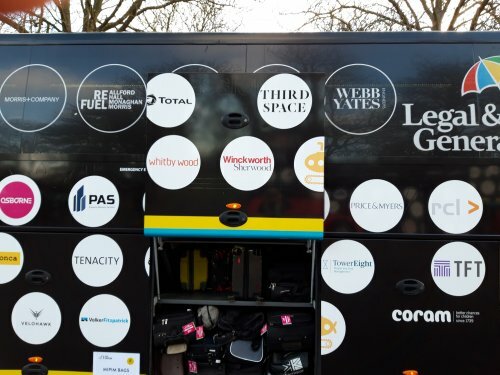 James Mackay, Partner in our Real Estate team is cycling over 1,500 kilometres for the third time to reach MIPIM in Cannes via the Portsmouth route. 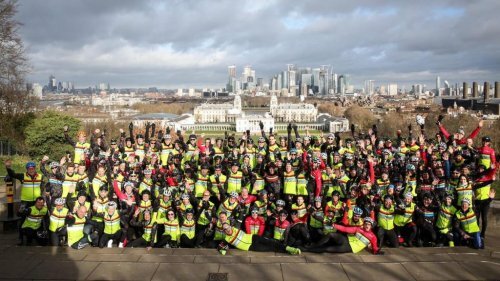 The ride will help raise money for Coram, a charity committed to improving the lives of children in London. In this blog post we will be following James’ journey. You can support James by following his blog here and by donating on his just giving page. First training ride of the season! A Club Peleton organised ride from Hever Castle in Kent. 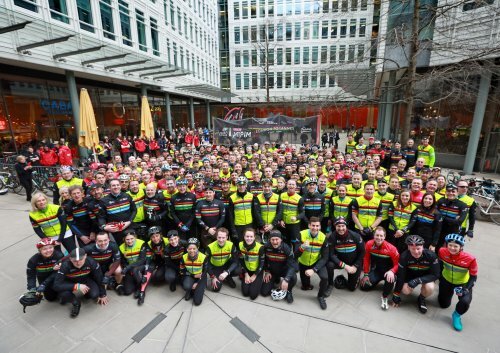 Only a tiddler to start off with – 75km around undulating countryside with about 25 other folk from the Property industry. The day started well – despite the weather forecast of rain from 5 am through to 5 pm – I left the house at 6.30 am in the dry and relatively warm (13 degrees C) weather to get my train from Clapham Junction down to Hever for an 8.30 am start. After a pleasant train ride (the train was inevitably empty going away from London at that time), unfortunately when we arrived at Hever Station, the heavens had decided to open and in relatively robust fashion. In the 2½ miles from the Station to the ride meet, I pretty much got soaked through, setting the tone for the day! Nevertheless a cup of coffee and a sausage sandwich later, we were being called to order for the pre-ride briefing, which was given to us against the backdrop of ever darkening clouds and ever deepening puddles. However, being a fair weather cyclist in the UK is not an option and therefore at the allotted hour we duly saddled up and left the meet point of the Hever Hotel and took to the by-now leaf and twig laden roads of mid-Kent. The rain continued to come down but let’s face it, once you are wet, you’re wet. Familiar faces were present during the ride, so I caught up with a number of contacts and renewed some forgotten acquaintances. 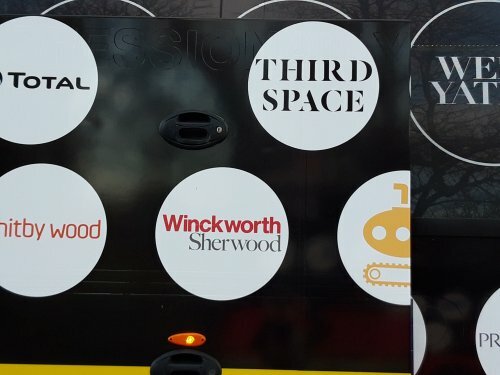 I also met a good number of people who are doing the MIPIM ride for the first time who were all a mixture of nervousness and excitement. 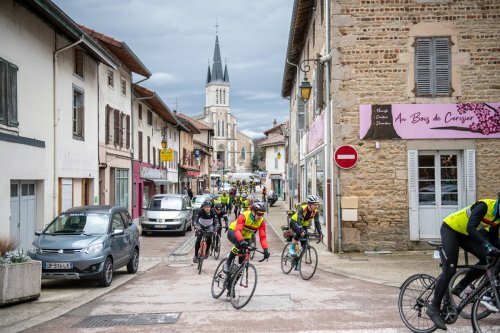 I remember those feelings well, although as a “veteran” of two MIPIM rides already, I have lost the nervousness and I am just looking forward to the ride itself (six days of no sleep, cramming calories and saddle-sore – what’s not to love!!). The rain continued to fall and by now the roads were awash with alarmingly deep lagoons of water forming in the dips and gutters of the roads. To a man/woman we were all pretty much covered head to toe with dirt thrown up from the road. However, astonishingly and unlike most situations where the rain just does not relent, everyone remained in good spirits such that, even after tea and cake at the mid-way point (where in order not to damage the floor of the Village Town Hall where we were stopping we all had to take our shoes off, only to put them back on 15 minutes later), as the rain started to come down even harder, everyone was still raring to go and finish off the last 40km of the ride. I will be honest, I can’t remember the scenery from the coffee and cake stop as I had my head down for most of the journey trying to avoid the puddles, sticks and leaves in the road. However, despite getting a stick stuck in my chain set, the ride proved uneventful from an incident point of view and we all made it safely back to the Hotel where a burger and fries (and another slice of cake) – the true food of sporting champions – awaited. Good fun for the first training ride – although I could happily leave the rain out! I spent the entire next day cleaning my bicycle ready for the next training ride. Sadly no pictures for this ride – my phone got waterlogged on the way to the ride and wouldn’t work again until thoroughly dried-out the next day! Sadly, the first post-Christmas-excess ride of the New Year decided to take the bike for a spin out to Box Hill-and-back on what proved to be a cold but clear morning. Being a Sunday, everyone else was out on their bike as well, no doubt trying to get rid of the pounds added by the Festive season. Worked my way down from Wandsworth to Reigate (Surrey), through Merton, Hackbridge, Sutton, Banstead; and then made the short hop to Dorking, up the back of Box Hill and stopped for a coffee at that Surrey-cycling-Mecca, the Box Hill Café. My Garmin had given up the ghost so I had no idea how far I had ridden to that point, but it had been quite a decent pace for a two hour non-stop ride to that point. A coffee and a piece of bread and butter pudding later, I was back on the bike as it was getting cold. With a short stop at the Box Hill viewpoint to take the obligatory photo (see attached), I made my way down the famous hairpins and then back up the famous Box Hill ascent just to see how out of shape I am. Considerably, as it turns out, although this is what the training rides are all about – getting back to peak fitness in time for the ride in March! Watch out Geraint Thomas, I think not! 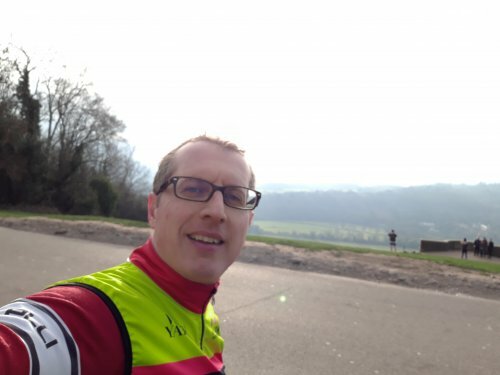 Once back at the top of Box Hill (being ultra-careful not to puff too much to show how exhausted I was to the other cyclists doing the same) I made my rather leggy way back through Headley, Epsom and Kingston back to Wandsworth, a nice uneventful morning out on two wheels.